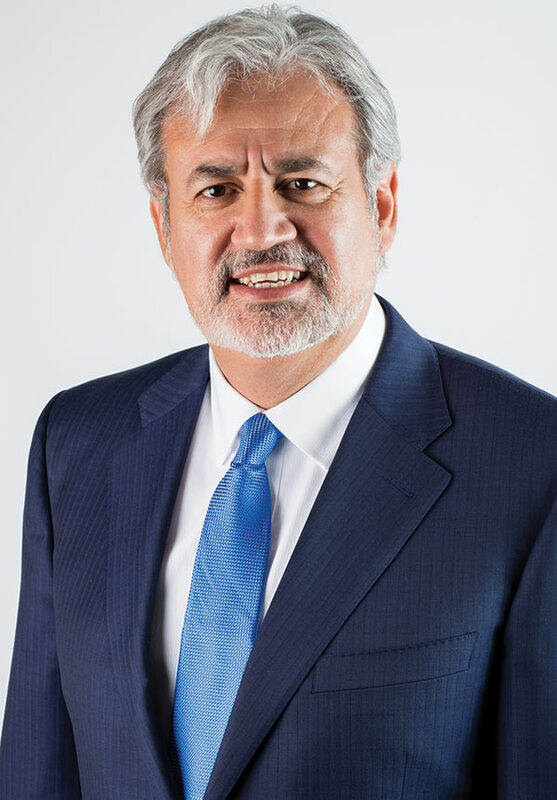 When Dr. David Ramirez was elected as third assistant general overseer at the 2016 Church of God General Assembly in Nashville, he became the first minister from outside the United States to be elected to the denomination’s Executive Committee. On May 3, 2018, he shared his story. estify about your salvation and call to the ministry. I am a missionary kid. The Church of God sent missionaries to Chile in 1953. My grandmother accepted Christ through their ministry, and she became one of the pioneer ministers for the Church of God in Chile. My father and mother studied in the Church of God Bible school in Santiago, Chile. Then they went to Argentina to preach and plant churches in the northern part of the country. I was born one year later in Argentina. We were there about two years and then came back to Chile, where I grew up with my two brothers and three sisters. When I was 9, Nona Pizarro, a lady minister, presented the Gospel to me. She was very good at evangelizing children through puppetry, and later became a missionary to children in Texas and California. After her lesson, she gave an invitation to accept Christ as Savior. That was the beginning of my Christian life. At the age of 13, I was invited to preach to the youth group in my local church. I preached three minutes and ran out of material. About two or three months later, I received the baptism in the Holy Spirit. That changed everything—my shy personality, my character; I had more boldness, energy, and passion. One year later, I was baptized in water. I was baptized in a river because the church baptistery was quite small, and I had grown to 6’5”. What was your first ministerial appointment? When I was 17, and attending a Catholic university, I was appointed as the national youth director for Chile. I served for a short time, and then moved to Houston, Texas, where Dr. James Beaty was establishing the Hispanic Institute for Ministry. I came to Cleveland, Tennessee, in 1979 to attend the Pentecostal Theological Seminary. I was there three years, and then engaged in Clinical Pastoral Education at a Houston hospital for one year. This was transformational—spending 60 hours a week in the hospital doing intense pastoral work. In 1982, the Hispanic Institute of Ministry merged with West Coast Bible College (WCBC) in Fresno, California, and Dr. Esdras Betancourt invited me to be a part of that project. I participated in one year of resident training while I was writing my M.Div. dissertation. A pastor from Los Angeles, Alan McCray, came to visit WCBC. He invited me to plant a Hispanic congregation in his church. I accepted, and in about two years we grew from five people to 250 attendees. The community around that church was 85 percent Hispanic. In 1986, I married my girlfriend, Fernanda, whom I met in Los Angeles. We honeymooned in Atlanta during the General Assembly, and from there went to Argentina, following Dr. Osvaldo Puplillo. World Missions appointed me to assume the presidency of a new seminary in Buenos Aires. I was 26 years old. It was an amazing time. We were also appointed to a small church while at the seminary. The church grew fast and the seminary grew fast. We were in an old house packed with people. After six years, we needed to build something bigger. Because of the political climate and the economy in Argentina, it was not able to happen there. We decided to move the seminary to Quito, Ecuador. We moved there in 1993, relaunching the South American Seminary—now, literally, in the middle of the world. We spent 14 years there. The seminary is called SEMISUD, and it is the most beautiful Church of God campus outside the United States. In the past 20 years, thousands of students have received instruction with more than 3,500 students from 25 nations participating in formal training programs. In 2000, we planted a church with a group of students and faculty. Most churches in Ecuador would reach 100 persons and plateau. We wanted to experiment. We were teaching church growth and new concepts of church planting. We wanted to learn how to teach the next generation of church planters. In theory, we needed to do it first; if it didn’t work, we needed to know. So, we planted a church. By 2006, we were running about 650 to 700 members with an attendance close to 1,000. It was a tremendous success. What helped that church to be so successful? We used a contemporary approach to liturgy. We changed traditions that sometimes lock us in time. We followed pretty close the model of Saddleback Church (saddleback.com)— the five-purpose ministry—contextualizing it for Ecuador. We had a pastoral team, multiple services, and a huge ministry of volunteers. It changed the dynamic of the churches all around us. Ecuador was the last country the Church of God reached in Latin America, but now we have over 500 churches there. In 2006, I started getting this fear. I call it the “founder’s syndrome.” When is it time to move on? I don’t want to kill what we had started. At the right moment for the church, we requested to move on. I was invited to become the administrative bishop in California for the Southwestern Hispanic Region. The house for the bishop was five miles from my in-laws. We had been away for 20 years. For us, it was a reunion. My three children now could enjoy their grandparents. We were there two years. We started receiving words of prophecy, revelations, and dreams that God was moving us. 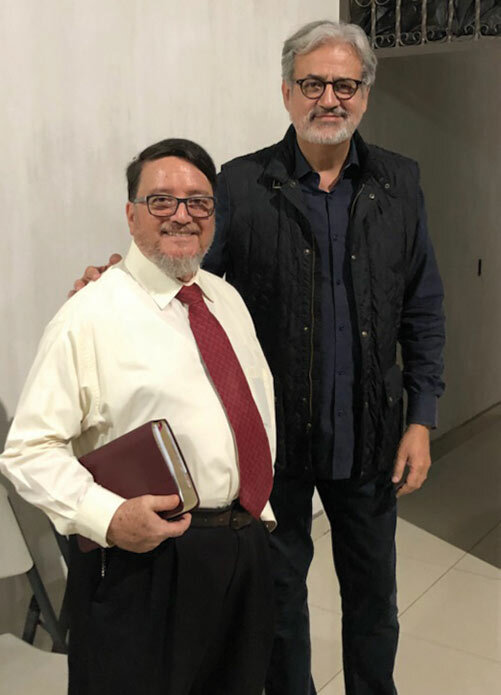 Two years later, Victor Pagan was elected as World Missions assistant director, and that created an open place for South America field director. We accepted the World Missions’ appointment to serve in South America. Describe your years as field director of Latin American. For many years I had dreams about advancing the church in Latin America. As president of the seminary, I realized we needed a higher standard of education, but I was limited. The new leadership position now gave ecclesiastical oversight, which yielded greater support to develop new initiatives. R1—Restore the global vision in the local church. R2—Restore hope by planting more churches and better churches. R3—Revitalize the church to be the church of the 21st century. R4—Reeducate the church so the church can respond to 21st-century issues. R5—Reflect the glory of God in everything we do, think, and feel. R6—Respond with action. We need to make a difference in everything we do. We had very ambitious goals. In 10 years, we wanted to nearly double the number of Latin American churches (from 8,600 to 16,000), and have 32 doctoral graduates, 350 earning master’s degrees, and 500 B.A. graduates. All things indicate that by 2020, Latin America will surpass these stated goals. And, Latin America now has 60 career missionaries working in Asia, Europe, and Africa. God helped my wife, Fernanda, develop a movement in Latin America. She called it “Friends with A Dream.” The objective was to help women see themselves as Jesus sees them and mobilize them for ministry. Today, this movement is mobilizing thousands and thousands of women in every Latin American country and Spain, and it will continue growing. I had committed with the Lord and my family to serve in Latin America through 2020. To my surprise, I was elected in 2016 to be the third assistant general overseer. That has changed our path. We experienced all the challenges involved with a major transition. You’re supposed to be happy you were elected, right? It was indeed a marvelous blessing and honor. This had never happened before, making history—the first time a minister from Latin America was elected to the Executive Committee. Yet, also, with a sense of deep loss, it took us three to four months to adjust, realign ourselves, and understand the new purpose God has for us in this time. So here we are. You’ve been in this position for almost two years. How do you see the Lord using you? There was a big learning curve. It took a year or so to familiarize myself with the operating systems and structure we have in the U.S. It has been great—visiting the church at large and learning of the various cultures of the faith and discovering the rich diversity of our U.S. family. I have been very intentional in visiting local churches to meet pastors and laity. I was assigned the portfolio of global education at the same time Dr. Michael L. Baker was appointed as chancellor of the Division of Education. It is a joy work with him and see his vision for global education in the church. So, I invest a lot of time with the education boards, the Pentecostal Theological Seminary, Division of Education, and Ministerial Development. While daily management and leadership for the division is provided by the chancellor, I work closely with him, and that’s my passion. And then, continual connection with my covenant ministry team is vital to have a close relationship with this group of leaders. Working with the International Executive Committee and the and International Council gives opportunities to dream, design, and make proposals to the general church in order to accomplish the Lord’s task. I am grateful and honored to serve with Spirit-filled servant leaders who love our church and understand our Lord’s global mission. 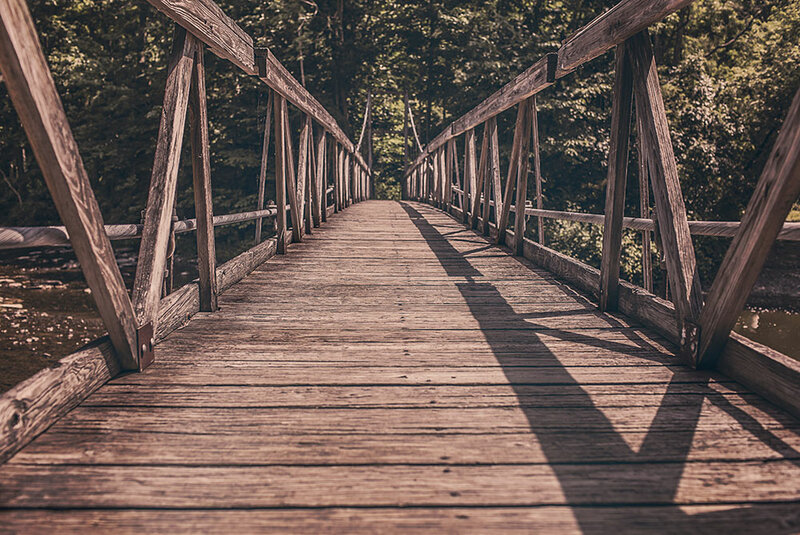 A good metaphor to describe myself would be a “bridge.” All my life I have been connecting people with people, project with project, initiative with initiative, church with church, nation with nation. What I can bring to the table is a global perspective of the church because of my experience in Latin America and participating in so many global summits and Christian gatherings. That is my cry as well. A few weeks ago, I went to northern Brazil for their camp meeting. It took me 30 hours to get there. I was in Brazil a day and a half, and it took me 30 hours to get back. It was very significant for them to have the presence of an Executive Committee member. We have a bishop, Dr. Robert Aldana, in Guatemala who is an outstanding leader. He has cancer that has metastasized throughout his body. Twelve years ago, his doctor told him he would live five months. Today, he still has cancer throughout his body. He decided to take a church in a small city in Guatemala and in two and a half years, the church has grown from 200 to 1,000 people. He is building a new facility and growing a church. I took a morning flight, arrived at noon in Guatemala, and with another minister, drove seven hours to the countryside. We arrived about 7 p.m. I thought when we arrived we would spend some time visiting, talking, and praying with Pastor Aldana. I was thinking it was a “pastoral visit,” but he was waiting for us with 1,000 people at the church. I had the privilege to preach that night, have dinner with him, and drive back six hours to the city. We arrived about 4 o’clock, slept four hours at a hotel, and flew back. I’m able to do that because I’m a missionary; that’s my life. Describe the denominational loyalty found in Latin America. Our brand in Latin America means this is a Pentecostal church with a discipline and a government—an international movement making a difference in the world. The Church of God logo is a brand. You travel around Guatemala and you will see the Church of God logo everywhere. It is very difficult for groups to go independent in Guatemala because of the strong identity we have. A pastor from Guatemala planted a church in Oklahoma City, Oklahoma. With about 50 people, they raised $200,000 cash, and within two years had purchased property on a main street. 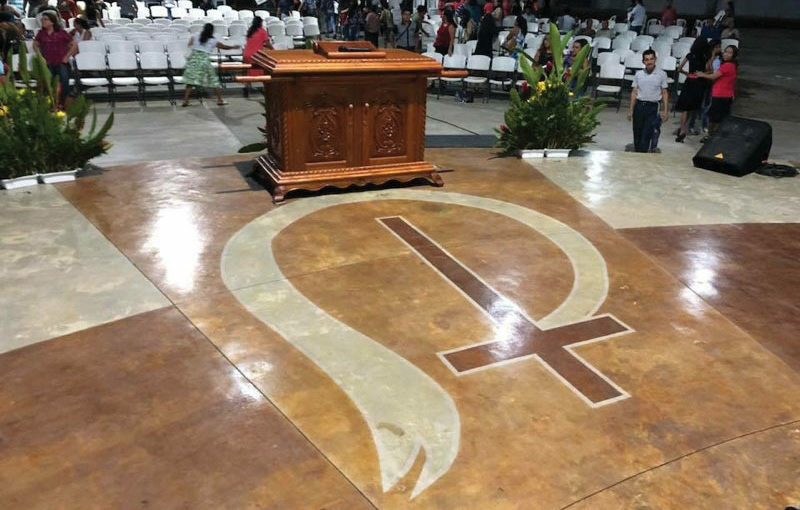 After placing the Church of God logo, attendance grew by 100 additional persons the next month. How do you see yourself influencing our denomination in the U.S.? My dream for the Church of God in the United States is to remind them about the beautiful work our denomination has accomplished through world evangelism and to understand that the many things God is doing globally, He can also do locally. This is a time to rethink church planting, and to rediscover the value of education as a necessary tool for ministerial development and revitalization of the local church. We can envision our church reaching the next generation with an unchanging message, but with creative missional approaches and strategies. And the church needs to offer their best expressions of ministry outside the church gates. I am excited and feel that our denomination is moving forward. The FINISH Commitment is helping us realign ourselves with that purpose, to focus better, to gain traction. Praise God for the leader we have today in Bishop Tim Hill. He has a global passion with an extraordinary vision for the Kingdom harvest.